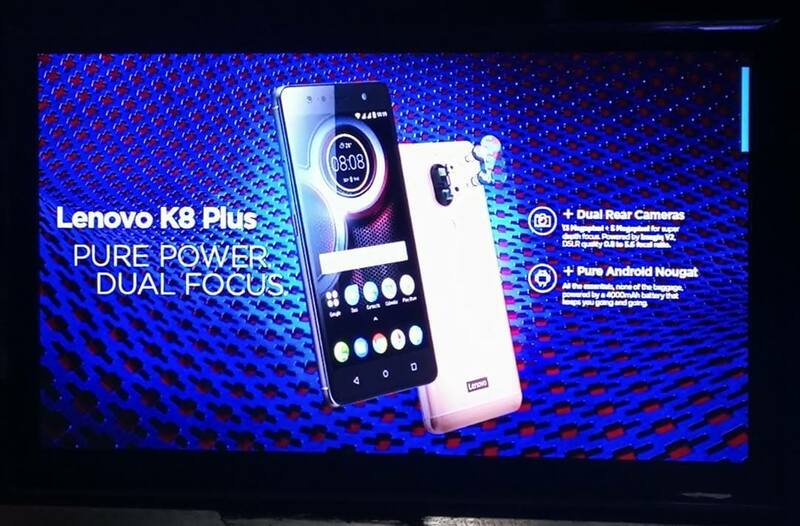 Lenovo Mobile launches in the Philippines its newest smartphones that belongs to the famous K series, one of them is the Lenovo K8 Plus. The Lenovo K8 Plus sports a very impressive specification with a very aggressive price tag. It has a 5.2-inch display made of an IPS panel with Full HD resolution and topped with Corning Gorilla Glass 3 to protect it against usually damage incur in everyday use. On the inside, it is powered by a premium MediaTek chip, which is the P25, that has an octa core processor clocked up to 2.5GHz each bundled with 900MHz dual core Mali-T880 graphics. It is the same chipset found on Meizu Pro 7 series, and Doogee Mix. It will also have 4GB of RAM to handle multitasking easily, and 32GB of internal storage that can be expanded up to 128GB with the use of a micro SD card. Camera wise, there is a dual camera set-up on its back, a 13MP main sensor + 5MP for depth, paired with dual CCT LED flash. Meanwhile, the front shooter is equipped with an 8MP fixed-focus module with its own selfie flash. Another thing worth mentioning is that the K8 Plus will now run on stock Android, dropping Lenovo's proprietary interface, the Vibe UI. This means that the users will now have pure Android experience with almost no bloatware at all. At 9mm thin, it packs a sizeable amount of power source, which is 4000mAh, and supports 10W rapid charging. To round it up, it has a fingerprint reader for security, basic sensors, including gyroscope, dual Nano SIM with fast internet through LTE, and dedicated slot for storage expansion. It has a retail price tag of Php11,999, but during the Lazada Online Revolution Sale happening on November 9 to December 12, you can get it for an insanely low price of just Php7,999.